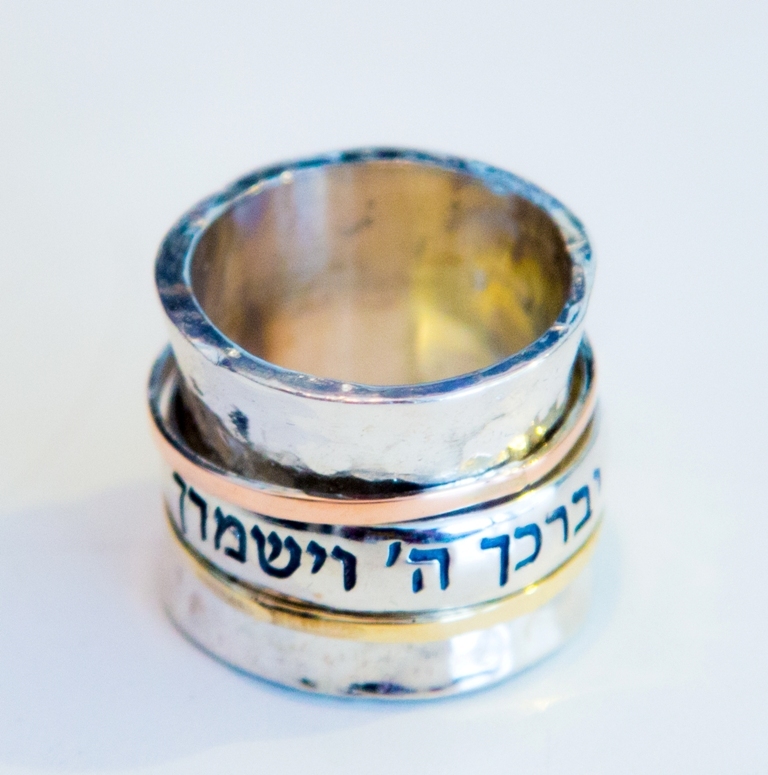 Israeli love ring.Spinning Rose Gold Yellow Gold Sterling Silver Ring. 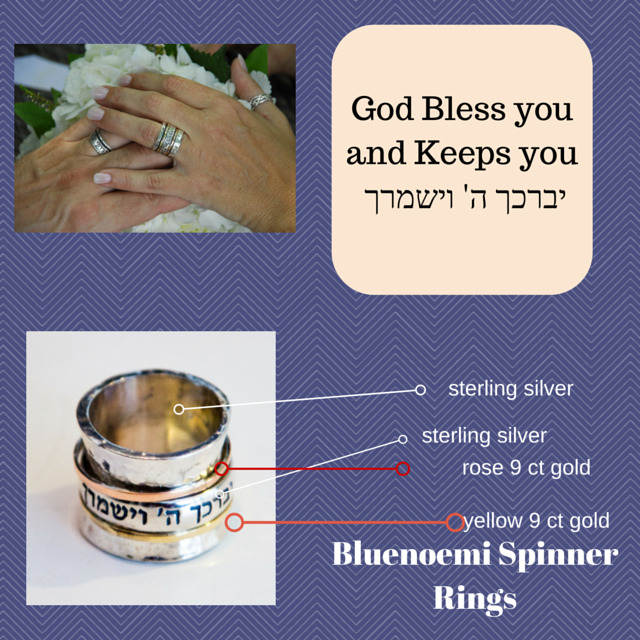 Silver and gold 3 tones spinning rings. Hebrew verse ring. Choose your verse You can choose in the verses option any model with any verse from the following. 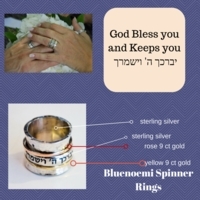 Please note that the raised letters can be chosen only for some verses - as specified bellow - and engraved letters can be chosen for all verses and for customized verses. You can choose another verse meaningful to you. Personalize you engagement ring !